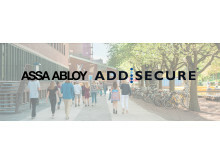 ASSA ABLOY and AddSecure enter strategic partnership. 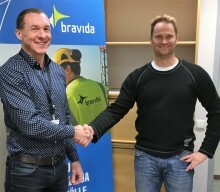 The two global market experts join forces to offer a new smart access control solution with integrated alarm transmission, which will make life easier for both end-customers and installers. 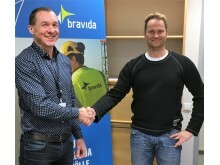 AddSecure Oy has signed a partnership agreement with Bravida Finland Oy for sales and distribution of its Smart Alarms offering. Telit and AddSecure expands IoT partnership with solutions for smart cities, smart grids and alarm security and more. 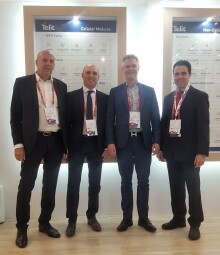 Sten Olsson, AddSecure; Tim Clayton, Telit; Stefan Albertsson, AddSecure, Carlos Perez, Telit.